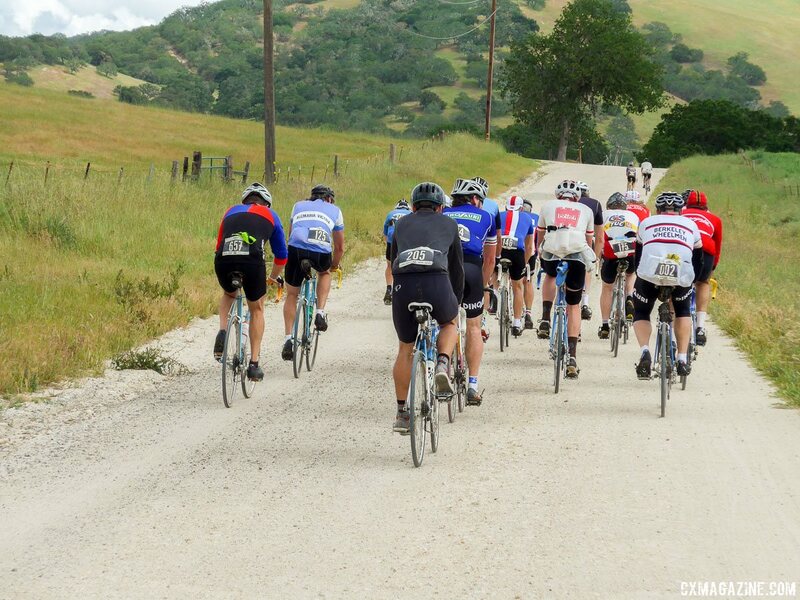 One of the hottest cycling event categories today is the "gravel ride." 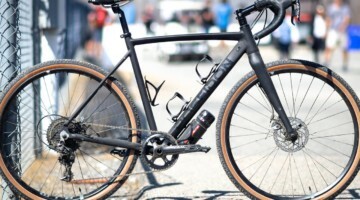 It has even motivated bike manufacturers to spawn a new category of bike: not a road bike, nor a cyclocross bike, but still featuring drop bars with fat tires and disc brakes. 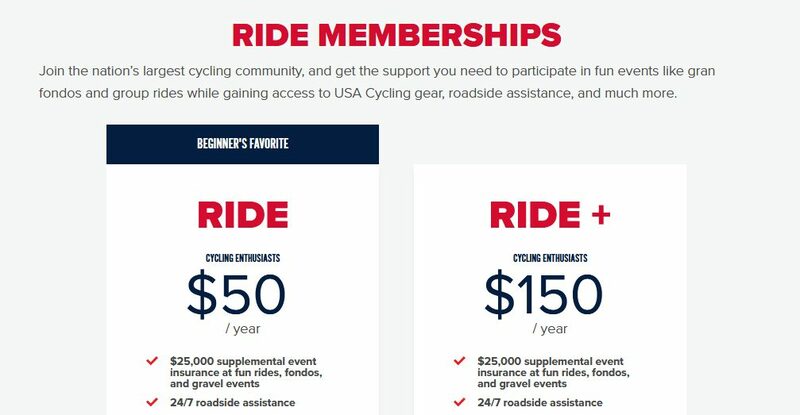 Even USA Cycling is targeting gravel rides and fondos with its new Ride Membership, as satirical regulations become less far fetched. L’Eroica rides reminds us of a time when we did not obsess on categorizing our rides or bikes. 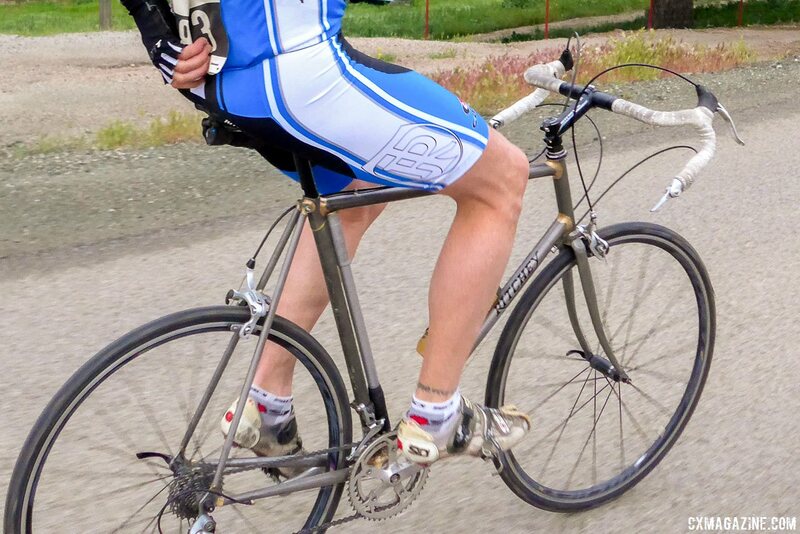 Though many bikes were specialized for racing, they were not surface specific. 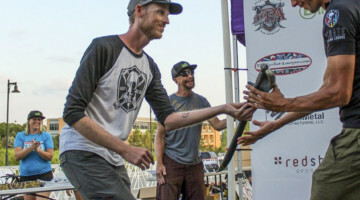 We rode bikes, and spent zero energy debating subjective opinions on whether a dropper post, suspension fork or fat tires violated a bike category's definition or label. Bikes were bikes, rides were rides. "Bikes were bikes, rides were rides." 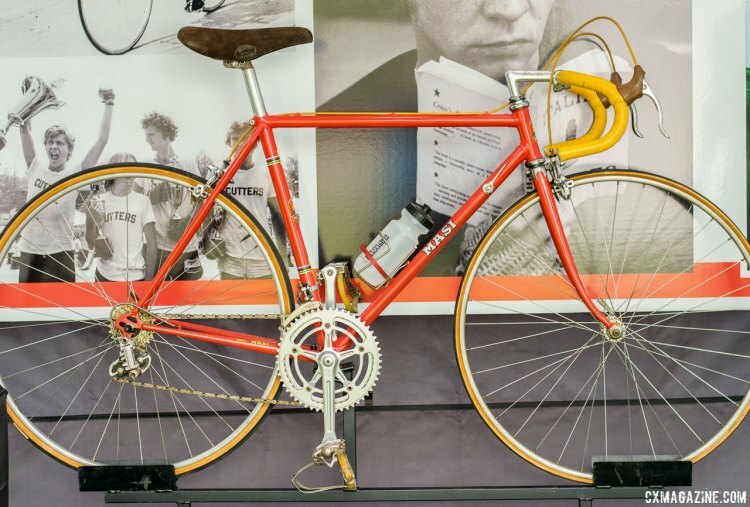 As the Eroica founder Giancarlo Brocci explains, the ethos of l’Eroica is to admire and learn about a bygone era of cycling. He told me the importance of the dirt roads and use of vintage bikes is to understand the difficulties of bicycle racing in the past. 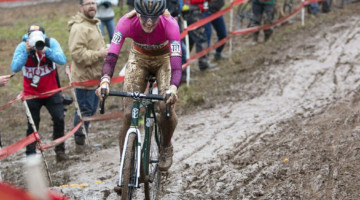 Riding on unpaved roads involves more individual skill, separating riders from the peloton, and adds interest and challenge. Originally, Brocci wanted not only to pay homage to an era, but also to preserve the courses from the past with storied gravel roads that were raced over by Coppi and Bartali. From those preservation efforts, the Strade Bianche became famous and now has a professional race that bears its name. L’Eroica began in 1997 in the Chianti region of Tuscany, Italy. At the event in 2014, Wesley Hatakeyama, a California resident with connections to the Eroica Japan organizers, proposed l’Eroica California. 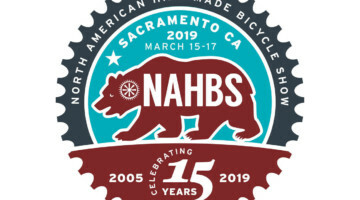 Brocci was interested and Hatakeyama teamed up with Kristine Larsen and Mark Studnicki, owners of BICI Italia, a bicycle touring company in Italy to help make it happen. BICI Italia is the primary sponsor bringing L’Eroica to California. Brooks (SelleRoyal), Bianchi, Mavic, Continental, Santini, Giro and Elite are also sponsors for L’Eroica California 2016 that benefits Hospice of San Luis Obispo. For 2016, Masi Bikes signed on as a sponsor and arrangements were made to have a special screening of the 1979 cycling movie Breaking Away and Dennis Christopher, who played Dave Stohler, the main character, attended the event, presenting the awards for the best vintage bike in the ‘Concours d’Elegance’ adding to the festive nature. Arguments about the “rules” of l’Eroica are ongoing, but the rules are what separate the event from others and creates the spirit of the ride. 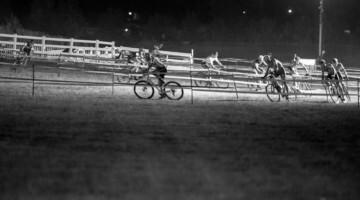 Without the restrictions, l’Eroica would be just another Gran Fondo or gravel ride. 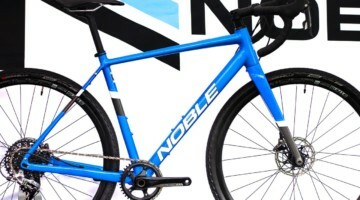 Simply stated the bicycle must be in the spirit of the era before 1987, which coincidentally is when Campagnolo stopped production of the original Nuovo Record and Super Record grouppos. 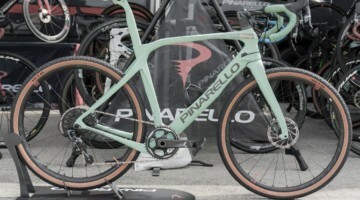 The bike will likely be of steel lugged construction, and equipment must include toe clips and straps, downtube shifters (preferably friction) and cables that exit out of the top of the brake lever, not run under the bar tape ‘aero’ style. 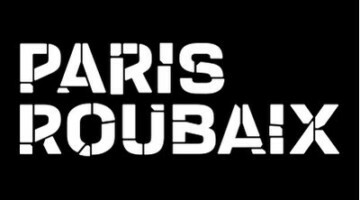 It is stated that when these three things changed, it changed the look of cycling forever. 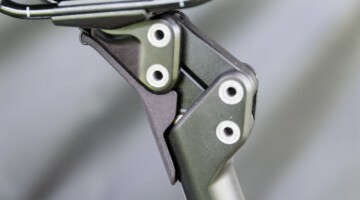 The organizers know that aero-style brake levers, pedals without toe clips and index shifting came out before 1987, but had to draw a line somewhere. L’Eroica also is the first ride I have attended in many years without mandatory helmets for riders over 18 years old, though the organizers strongly encourage it. 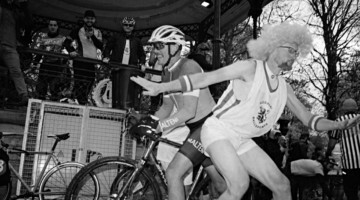 Easily 25 percent of the riders were helmetless, and a handful wore leather ‘hairnets’ for the the look. Many of the participants spent their young days of racing and riding helmetless with the very bikes they brought, others simply enjoyed the wind blowing carelessly through their hair. 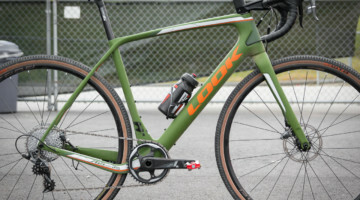 The bike I rode is the antithesis of what some of the review bikes we ride with carbon frames and wheels, hydraulic disc brakes, clipless pedals and sometimes electronic shifting. I was on a Schwinn Paramount made in the Chicago factory in May of 1964. It is brass brazed with cast Nervex lugs of Reynolds 531 chrome-maganese double butted steel, the latest tech of the time. 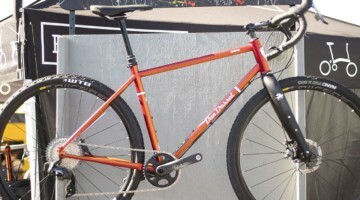 The frame is chromed and then painted, masked so the chome is displayed at the lower half of the fork and rear triangle. Very few braze-ons were used at the time partly due to fear of overheating the tubes with the brass brazing, so simple things like water bottle mounts and cable guides have to be clamped on. I obtained the Paramount from the original owner who is too old to ride it now. 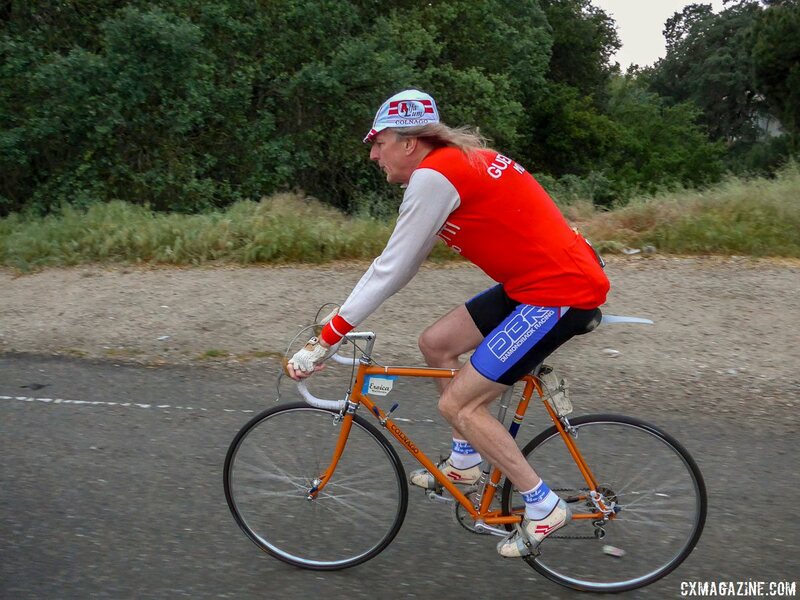 He had upgraded to Gran-Compe side pull brakes, Sugino drilled black anodized 52/42 chainrings and alloy cage Campagnolo SL pedals back in the early 1970s. He had the wheels rebuilt from the original tubular rims with Super Champion model 58 clincher rims laced with 36 DT Competition spokes to the Campagnolo high flange Record hubs, the rear tied and soldered. 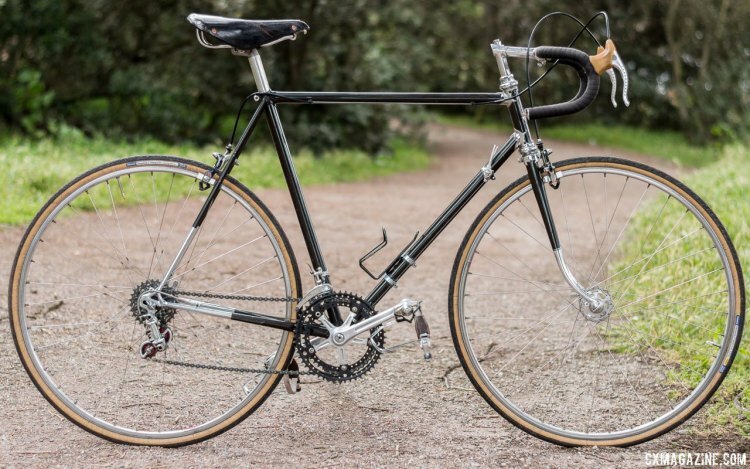 The bike otherwise had original equipment including a well broken in Sofati leather saddle, 36cm wide Maes bend alloy handlebars with a chromed steel stem, and Campagnolo Nuovo Record drivetrain with a 5 speed 13-28 Regina freewheel. For the ride I equipped the bike with Panasonic Pasela 28mm tires filled to 50 psi in front and 55 behind. No, the tires are not from before 1987. Riding such old tires would be a liability, but I did select the rubber partially because of the skinwall look. L’Eroica offers several routes. 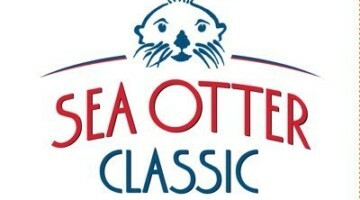 I opted for the second-longest option, called “The Coastal Route” which was 87.5 miles, 25 miles are over dirt roads. The surface is packed, with few ruts or buried rocks, nothing technical for a cyclocrosser, but add the now-considered tall, retro gearing and the toe straps and you have to decide whether to sit and grind it, or get off and walk early since undoing your strap at the last minute on a climb required a great deal of thought and agility. Our second climb of the morning, Cypress Mountain pitches up to 20% near the top. Walking in slotted cleats was not a desire of mine. Thankfully the rain from the night before made the dirt road tacky, but still I sat to maintain traction and mashed that 40 inch gear, rocking side to side like Hinault on the Tourmalet. The dirt descents were none too steep or technical, but with 28mm tires and the inconvenience of unstrapping to put your foot out, you had to be careful on some kitty-litter covered corners. Since the long reach, single pivot rim brakes were nothing like brakes of today, I didn't have to worry about locking up the wheels! We ate well and drank wine and Coca Cola at the major rest stops, one with live entertainment and grilled burritos. The server asked if I wanted a half or whole burrito. Are you kidding me? I had the fortune of riding l’Eroica California with some of American cycling’s true luminaries, now riding together as the “Dinos”. They include past national and international champions from the 1970’s and ‘80 including Tom Ritchey, Mark Pringle, George Mount, and notable for this ride, Andy Hampsten who won the 1988 Giro d’Italia in true heroic fashion. This group rode l’Eroica California as if it was 30 to 40 years ago, on the bikes they raced then, in a cohesive group. I heard stories. Tom Ritchey was riding a fillet brazed frame he built the week before L’Eroica just for the ride. He mentioned it has been a very long time since he fully built a frame by hand, and his creation was so last-minute he didn’t have time to mask and paint it, so he simply clear coated it instead. 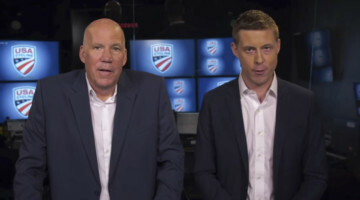 Ritchey also recalled building a frame for five-time Olympic Gold Medalist speedskater Eric Heiden in 1987, when he was racing professionally for the 7-11 team. Chatting with Andy Hampsten about our bikes and families revealed the most humble American hero riding the bike he rode to victory in the ‘88 Giro, sealing his victory over the snow covered Gavia Pass. 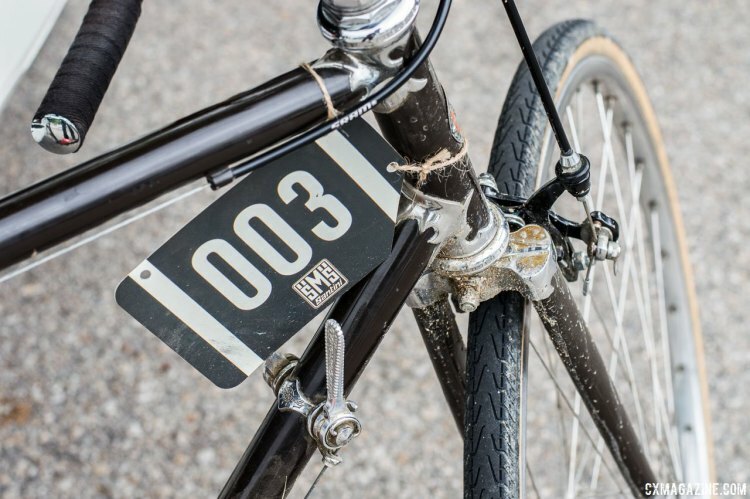 If you’ve been into bikes and bike racing for a few decades, attending L’Eroica simply for the stories you’ll hear is reason alone to swallow the relatively-high registration fee. The tales are priceless. We all miss-shifted our friction shifters over our 5 or 6 or 7 cogs, stomped up the climbs over dirt roads mashing gears even as the grade pitched to 20 percent since a 42 ring was the smallest we had, and the rear derailleur was not designed to handle more than a 28 tooth cog. We had to let descents fly since our brakes were just adequate for speed modulation. 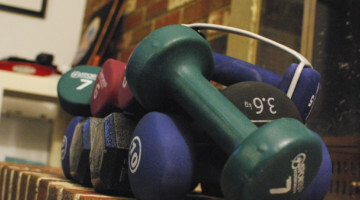 But we all remembered, and those too young to remember understood. This year’s California ride is on April 9th, and registration is still open. L’Eroica has four different routes ranging from 38 miles to 127 miles with between 2200 to 9800 accumulated elevation . All routes include between 25-30% dirt roads - scenic roads that climb through the hills in and around the central coast of California. 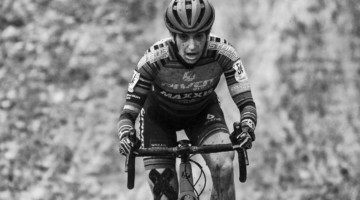 Climbing and descending on dirt is part of the challenge, made more so with the qualifications of the bicycle, giving the ride some status amongst gravel rides. 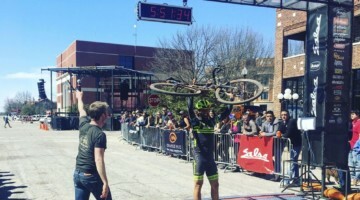 The atmosphere is definitely like a Gran Fondo with good food, music, wine, and a festival bookending the ride. The ride is labelled non-competitive, but depending on the group with whom you ride, it may have a race like feel at times. There are no less than ten different Eroica rides now, in eight different countries including Uruguay, Japan, Great Britain, the Netherlands, Spain, South Africa and Italy, with Italy boasting three events. True to its promise, L’Eroica will remind your whole body of a bygone era. At the end of the ride, my hands and feet developed a new appreciation for modern bike technology, but my brain and heart were thankful for the chance to relive the times when cyclists rode any terrain even without properly-labeled bikes.